What this phone does then, is take the best bits from the very lovable Mate 20 Pro and adds a generous dollop of all-round smartness. There is something slightly unique about Huawei’s flagship rotation policy. When the Mate 20 Pro was launched late last year, it became the flagship and truly deserved the mantle too. A few months down the line, the P-series has been updated, and clearly, Huawei has thrown the kitchen sink at the P30 Pro packing it with the sort of features that really mean it now takes over the mantle from the Mate 20 Pro. If this continues, for six months of the year, the Mate series of phones will lead the line while for the other six months, the P-series will take the lead. And that brings us neatly to the matter at hand—how good is the P30 Pro as a flagship phone? The answer is simple, if photography is an important criterion for you, parting with Rs 71,900 for this phone would be a no-brainer. The proverbial cherry on the cake—it does more than just take fantastic photos. Over the past 12 months, Huawei has really taken things up a couple of notches with the design. Last year’s P20 Pro took on a completely new design language which Huawei has well and truly built on with the P30 Pro. At the same time, there is the brilliant Mate 20 Pro also lurking in the shadows, and it’s nothing short of a miracle that Huawei has kept the personalities and visual identities of these two lines of phones completely separate. Not many phone companies have managed that, which is a testament to the work the designers have done with the P30 Pro and indeed the Mate 20 Pro. This is a large phone, thanks to the 6.47-inch OLED display. But smart design tweaks make all the difference. The curved glass cascades beautifully into the side spines, while the flatter top and bottom spines are a nice contrast. The bezels above and below the screen are as good as non-existent. This has also been achieved by eliminating the earpiece speaker. But how does one make a phone call then, you may wonder? The magic lies in the electro magnetic levitation technology, which sends vibrations through to the display and that in turn produces sound. We have seen this technology on Sony’ Bravia TVs for instance. Our experience with the ‘look ma, no speaker’ Huawei P30 Pro has been nothing short of excellent. The phone even helpfully tells you where to place your ear to get the best incoming audio for a voice call. There is no doubting the loudness, but it is the clarity of the voice of the other party on the call which really takes the cake. We also checked, then double checked and still triple checked if there was any sound leakage at higher volumes—and there was none. Perhaps we were too swayed by the slick implementation that our ears were playing tricks with the heart and the mind, but the ambient noise around from the other party on the call also seemed to be efficiently downed out. Coming back to the design part for a bit, Huawei is selling the Aurora and the Breathing Crystal colour options in India. Globally, they also have an Amber Sunrise and a Pearl White too, all of which basically represent the sky above us, at different times of the day or night. Now that, if you look at all these colours in one go, is a rather thoughtful touch that the design team at Huawei has followed through on. But in the midst of all this brilliance, it is important to not forget that this slab of glass and metal can be quite slippery from time to time, and you really wouldn’t want to take any liberties with gravity. The P30 Pro tips the scales at 192 grams, making this heavier than the Mate 20 Pro (189 grams) and the Samsung Galaxy S10+ (175 grams). However, after the initial feeling of the extra bulk, you will effortlessly become used to this. The 6.47-inch OLED display has a resolution of 2340 x 1080 pixels. This is lesser than the Mate 20 Pro (6.39-inch display with 3120 x 1440 resolution) and the Samsung Galaxy S10+ (6.4-inch display with 3040 x 1440 resolution) on paper, but at no point were the slightly lesser number of pixels ever even an issue. There was no content, even in a side by side comparison scenario, which looked any different on the Huawei P30 Pro. The brightness levels of this OLED screen are quite good, and if you happen to walk out into bright sunlight, the brightness kicks up very smoothly and the display is very legible all through. Colours look great and quite vivid too, without ever compromising on the accuracy. The one drawback that we noticed with this particular curved display is that it tends to get confused if the palm of the hand holding the phone is also touching the screen, and doesn’t then register that you may be tapping on another part of the screen with your finger. 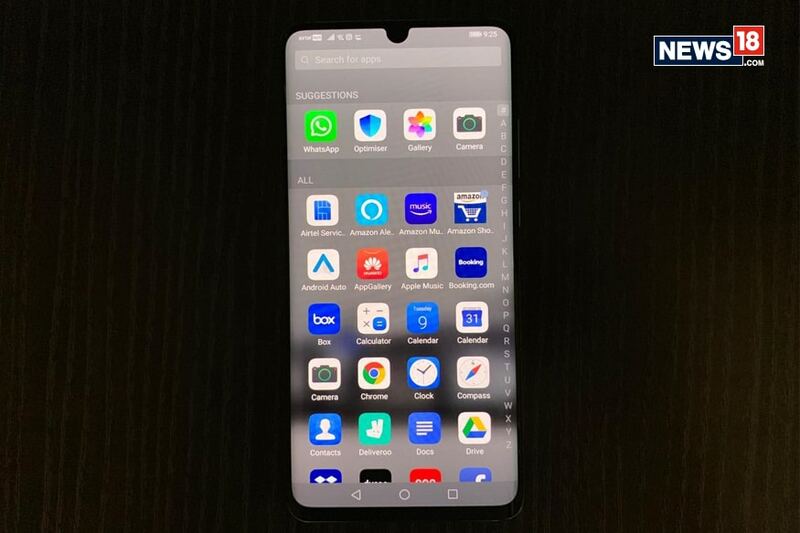 The tiny notch cut-out on the screen houses the selfie camera, which means there is no space for a laser-based face unlock hardware. This means the P30 Pro uses the camera-based face unlock, which we noticed struggled quite a bit in low light or if you are looking at the phone at an angle, though it is quite speedy rest of the time. In terms of what’s under the hood, the P30 Pro also runs the Kirin 980 processor, which we have already seen in the Mate 20 Pro late last year. This 7-nanometer chip is absolutely top-notch in terms of performance, and truly flagship worthy. In India, Huawei is selling only the 8GB RAM and 256GB storage variant, which makes the line-up simpler to understand and is also top-notch in terms of performance. There is significant use of artificial intelligence (AI) too in the P30 Pro, all of which works in the background and you really don’t have any knobs to change it around. For instance, the phone, as you use it every day, learns your usage preferences over time and ensures that it can accurately predict which app you will use next and have it ready to fire the moment you tap to open it. Those milliseconds saved do make a world of difference overall. The P30 Pro runs Android 9, but the EMUI customization around it may not necessarily have many fans. While Huawei has made subtle changes to it, there are still some rough edges. For instance, you cannot change the icon size in the app drawer. Some icons have been redesigned too, such as Gallery and Ride Mode, but this doesn’t feel as slick as the clean Android layout on the Pixel phones and the new One UI that Samsung has shipped with the Galaxy S10+. This experience on a premium smartphone is something which users may not really appreciate. The cameras are definitely the party piece of the P30 Pro. This is a quad camera setup, with a 40-megapixel, 20 megapixel, 8-megapxiel and a Time of Depth 3D camera all working together to take photos which can only be defined as unmatched in terms of the sheer detailing that they can reproduce. The same photos taken with the P30 Pro and the Mate 20 Pro exhibit slight extra detailing and crispness in favour of the P30 Pro, while it is head and shoulders ahead of the Google Pixel 3 XL and the Samsung Galaxy S10+ particularly when it comes to low light photography. One of the reasons for the better detailing, contrast and dynamic range in the P30 Pro’s photos is the new SuperSpectrum sensor which works with red, yellow, yellow and blue colours, also known as RYYB. This is an upgrade from the standard red, green and blue (the RGB) colours. Swapping out the green for the yellow means the image processing has more captured light to work with for every photo. The 8-megapixel periscope camera is the real highlight, and it surely has our approval. This P30 Pro can do 5x optical zoom, 10x hybrid zoom and up to 50x digital zoom—clarity is great at 5x, very acceptable at 10x and you need very stable hands to get the best detailing. Low light photos are also brighter and more detailed, and this truly puts the Google Pixel 3 in the shade (no pun intended) in many low-light scenarios. If all this is not enough, there is a 32-megapixel front facing camera as well—the most any Android flagship offers at this time. The P30 Pro is still more than your typical Android flagship phone with a superlative camera. 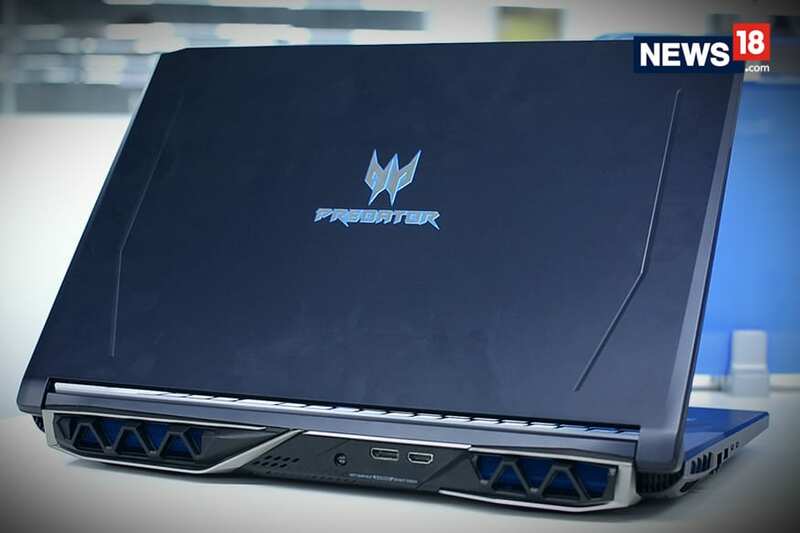 It packs a large 4200mAh battery, which offers great stamina levels. This lasts two days with moderate usage, and a day and a half when used quite heavily. This phone supports the 40-watt fast charging too, which means a completely discharged P30 Pro will charge up to 70 percent in exactly 30 minutes. If you prefer to charge the phone wirelessly, this supports up to 15-watt fast charging there too. Just like the reverse charging on the Mate 20 Pro, the P30 Pro can also charge another phone that supports wireless charging by simply placing that back to back with the P30 Pro. 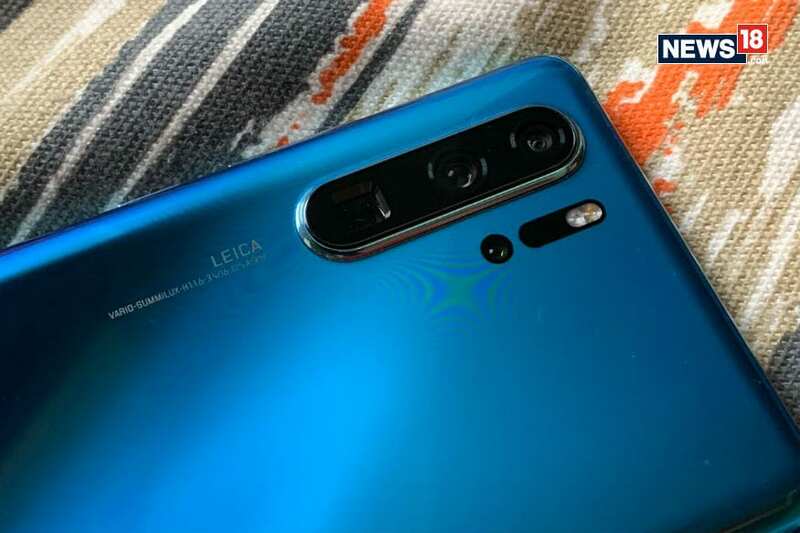 A quick glance at the checklist, and the Huawei P30 Pro really holds no prisoners with the design, the performance, excellent battery life, lots of AI and well, the cameras that are setting a new benchmark in smartphone photography. With a price tag of Rs 71,990 at the moment, this will really challenge the Galaxy S10+ and the persistent love for the Google Pixel 3 XL. It is not without faults though, such as a basic face unlock mechanism, a proprietary memory card slot and the dated EMUI user interface exhibiting some rough edges, but nothing deal breaking. We can be sure a lot of rival phone makers are currently huddled in emergency meetings.